1. Get your official rally towel from our pit area. 2. Take a picture with the rally towel and post it on our Facebook and Instagram pages. 3. A winner will be selected and a $500 gift card will be awarded at the end of the Motocross. season. 1. Come to see us at the supercross or motocross races. Take a short survey on the iPads that you will find in the pit's Activation Area. 2. 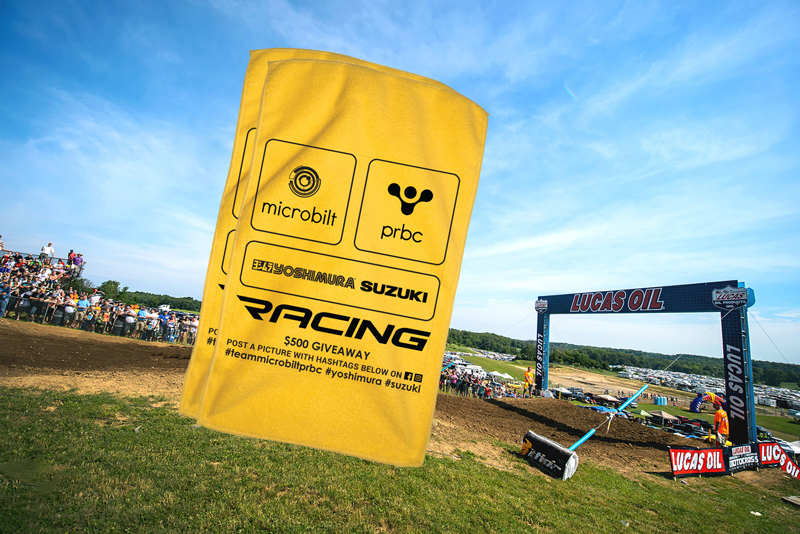 A winner will be selected and a case of Ecstar Oil will be awarded at the end of the motocross season. 2. A winner will be selected and $500 gift card will be awarded at the end of the motocross season.